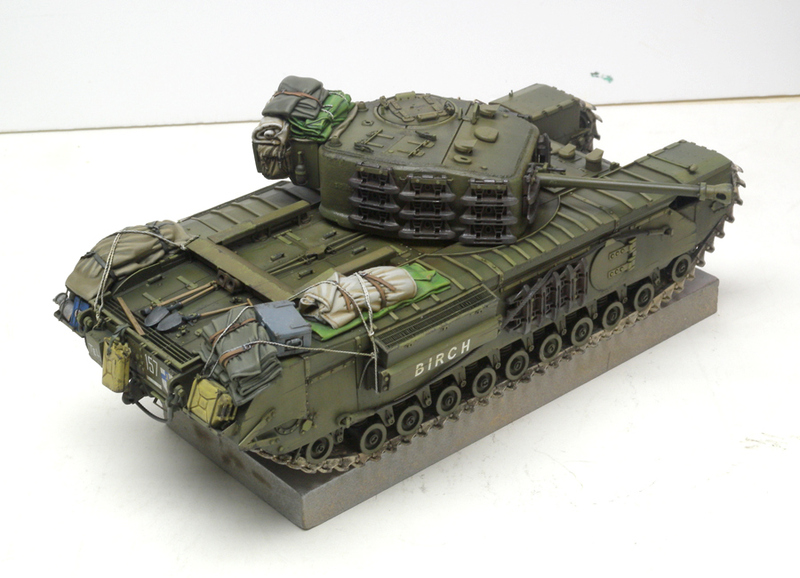 I bought the Tamiya kit with all intentions to use it for a Firefly and a couple other SF3D builds, but after building Futche's FF, there was no point. 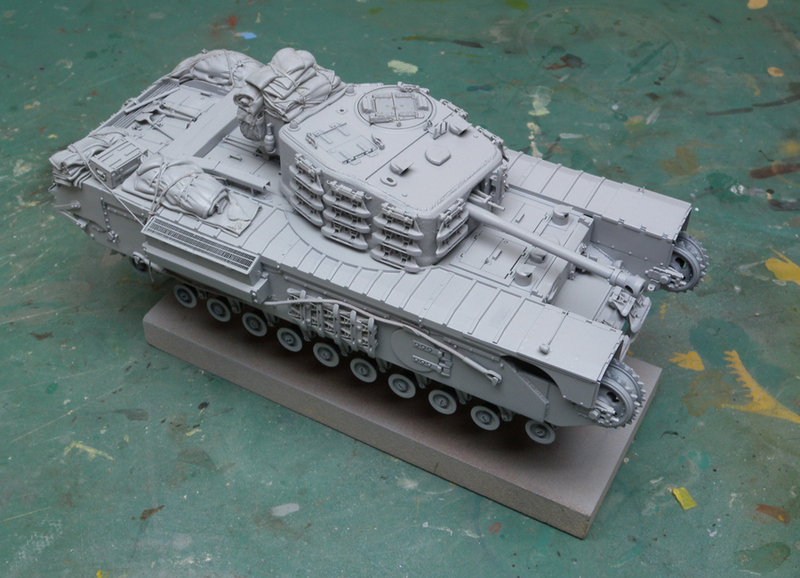 I used a few bits from the trailer on another scratchbuild so I couldn't flip it on EBay and hope to make anything back. 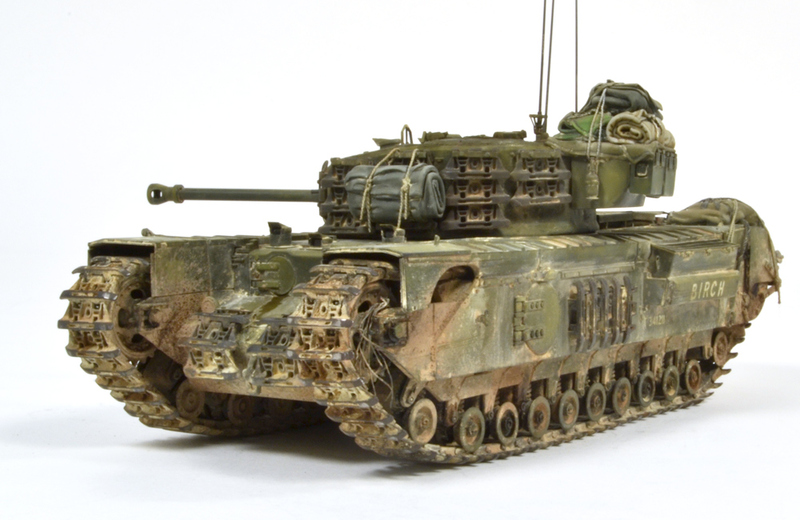 The next logical choice was to build a Churchill. 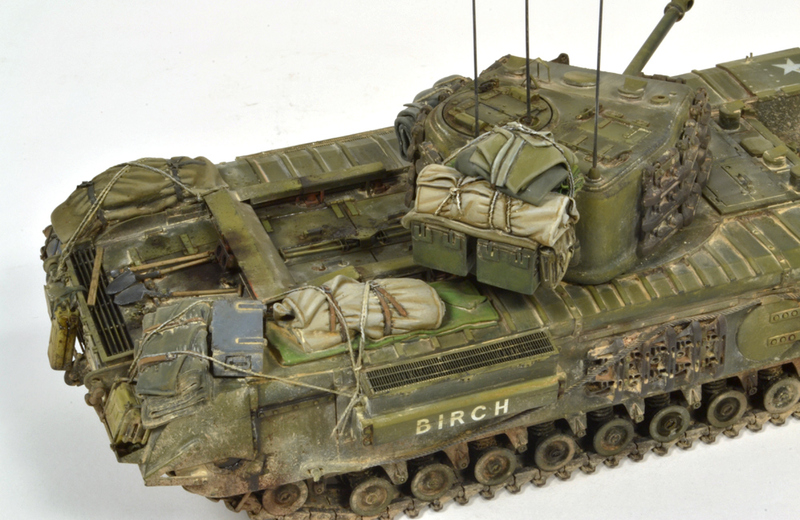 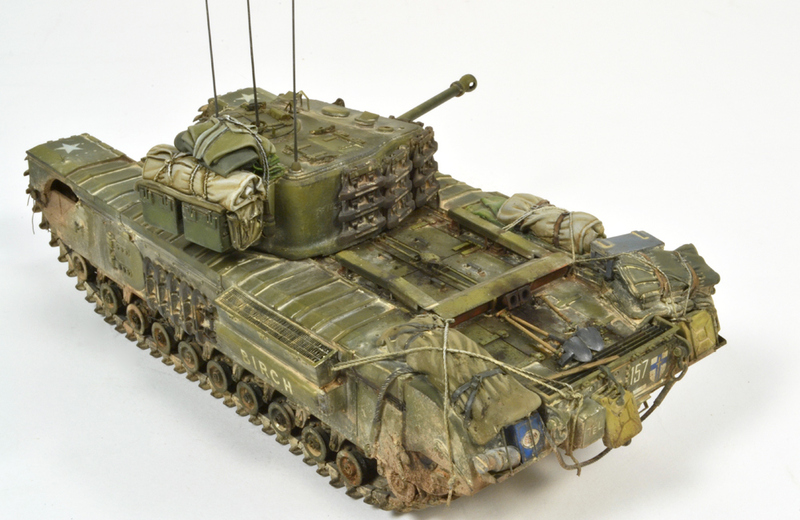 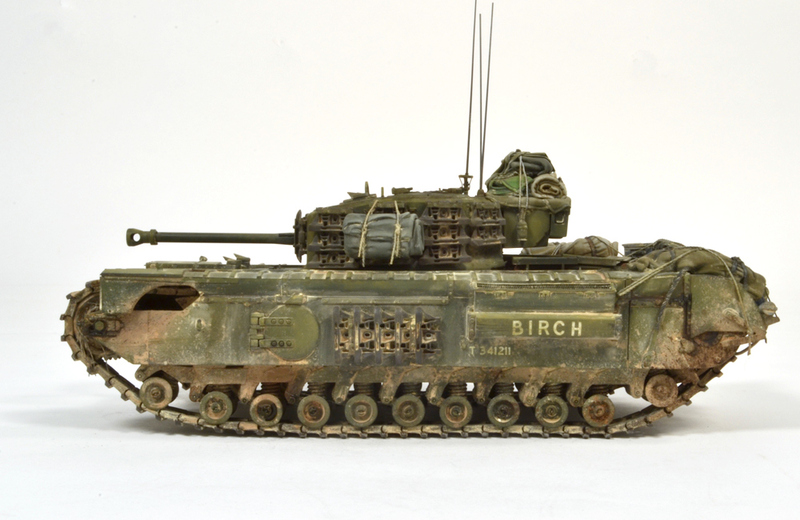 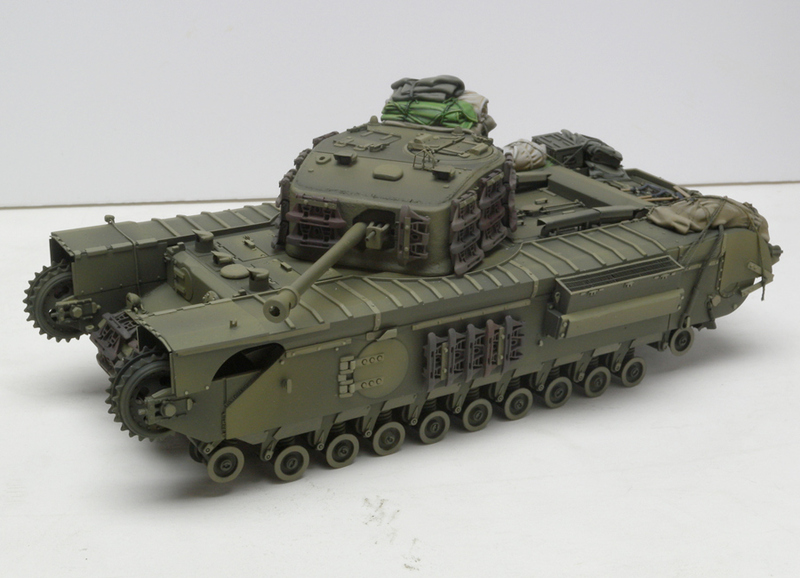 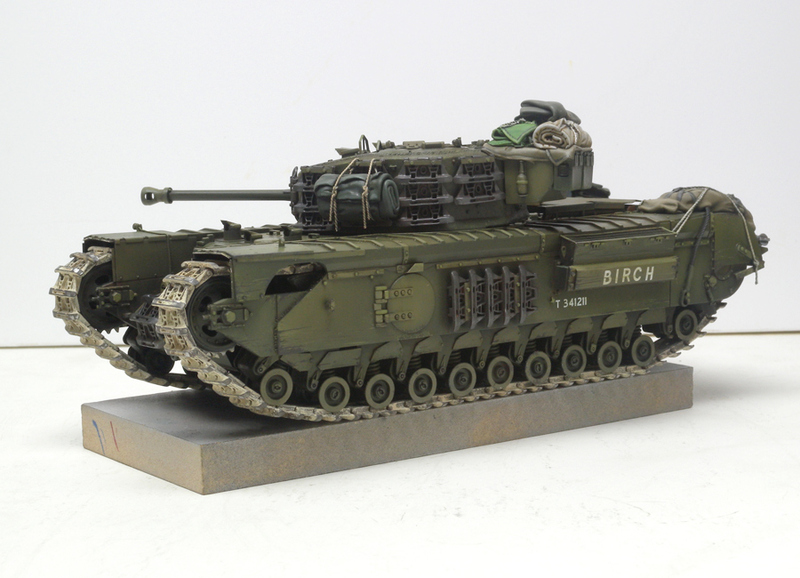 The following is the build diary for the Churchill. 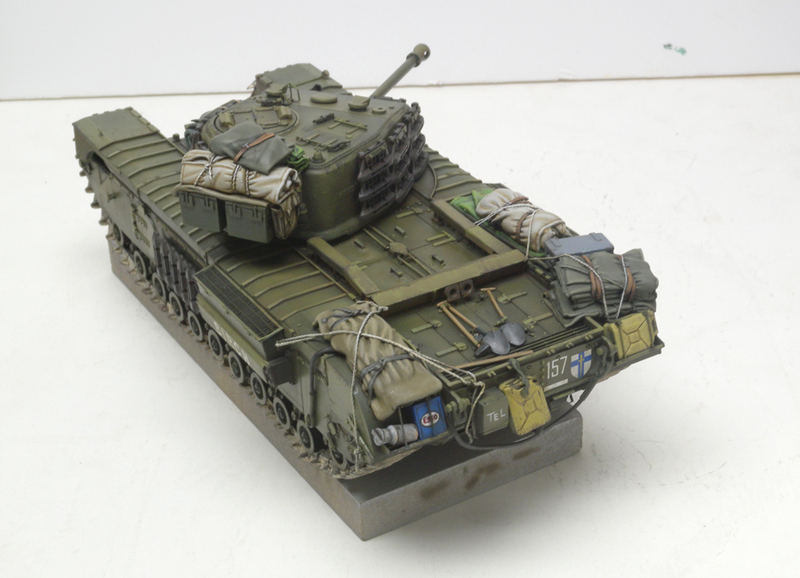 This is the vintage Tamiya kit from the 70s. 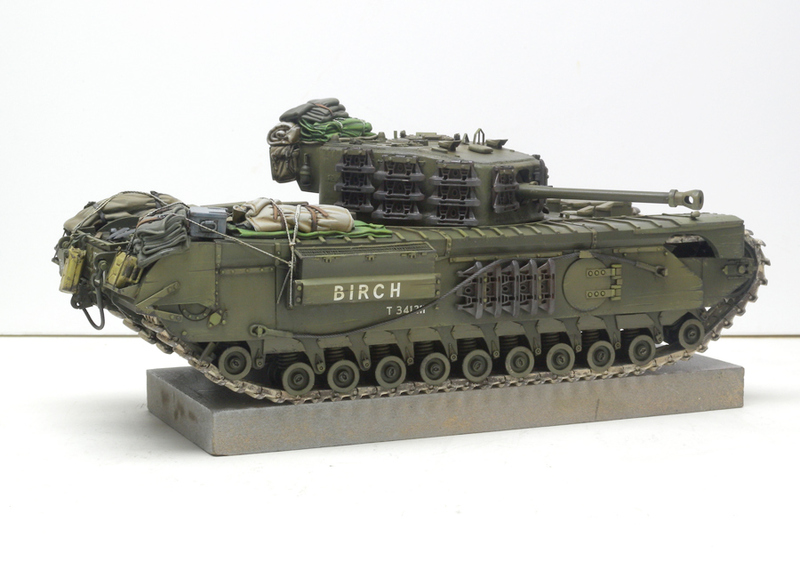 Out of the box it builds a post war or Korea era Churchill. 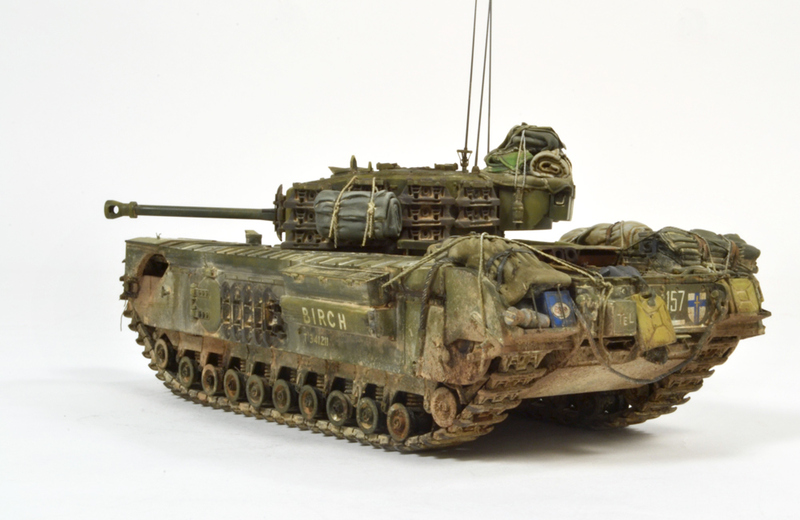 The details are minor but my interest in the Korean conflict is limited to reruns of MASH. 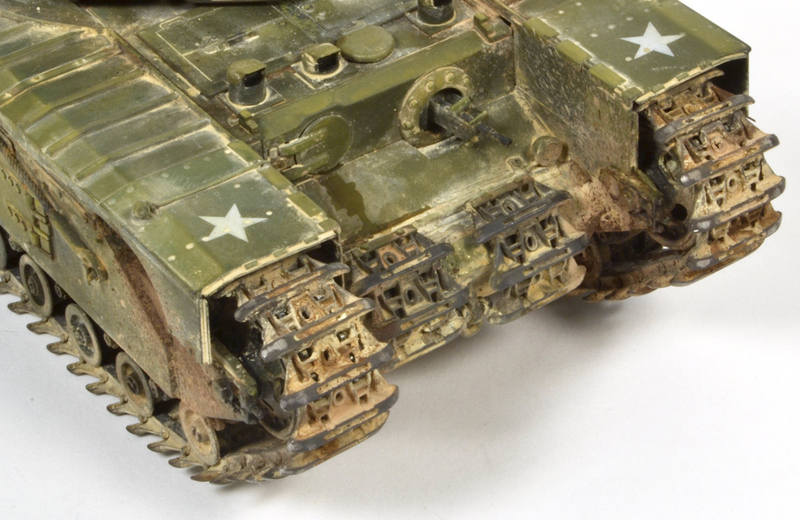 :-\ Most of the work involved was scraping plastic off to backdate to a 1944/45 era MkVIII. 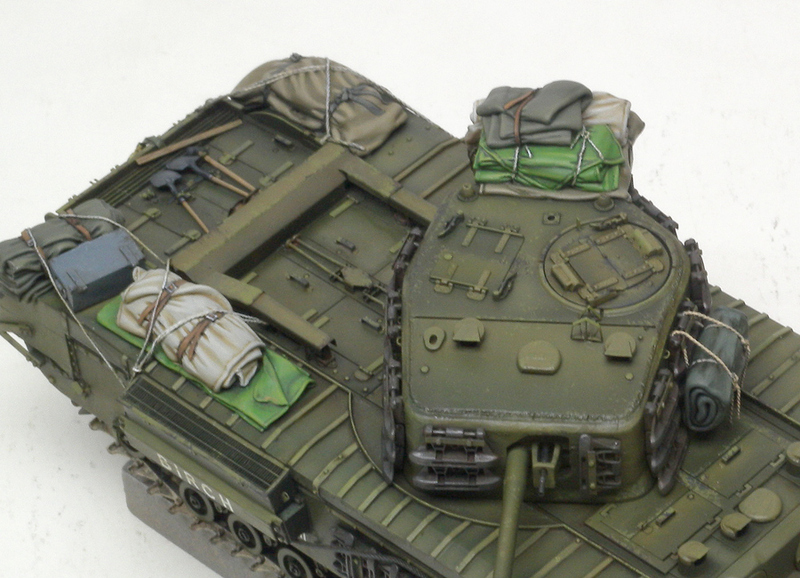 I used the Eduard PE set for the MKVII, the only one I know of but only used about 30% of the set since most of it was for the post WWII version. 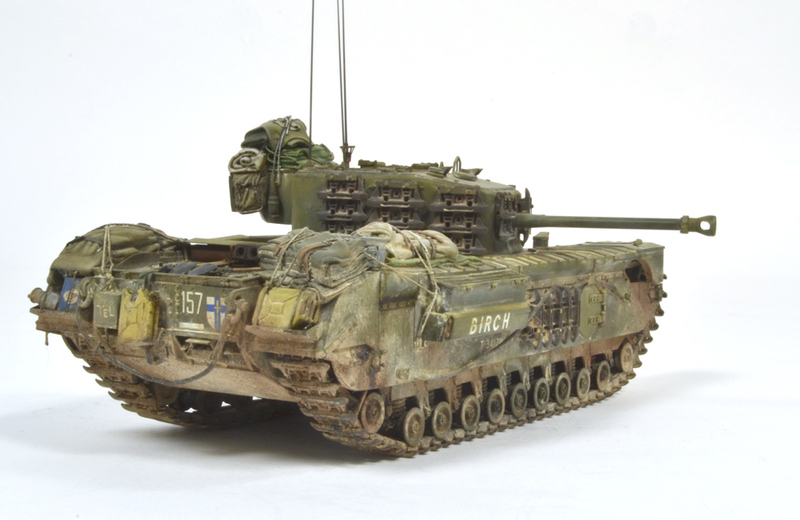 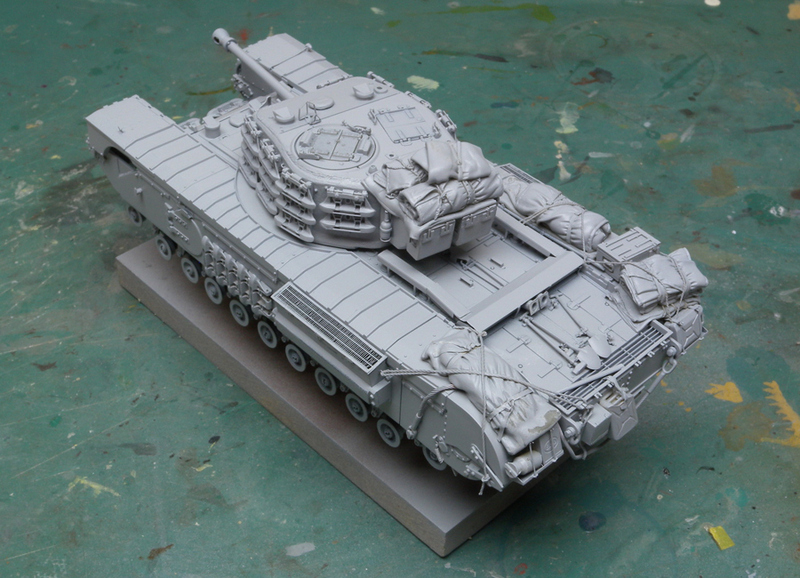 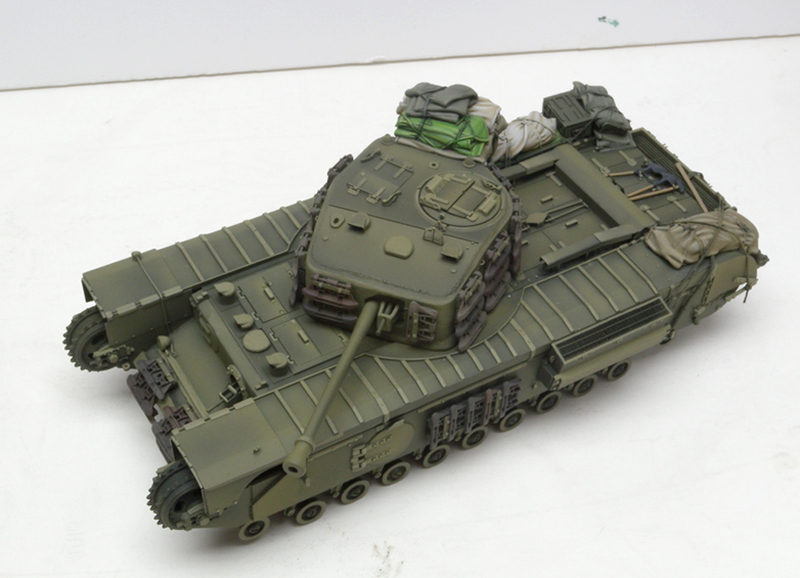 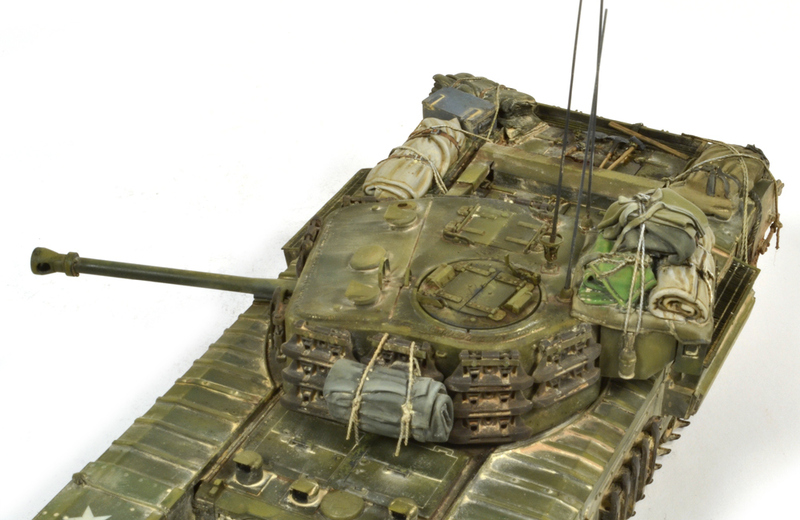 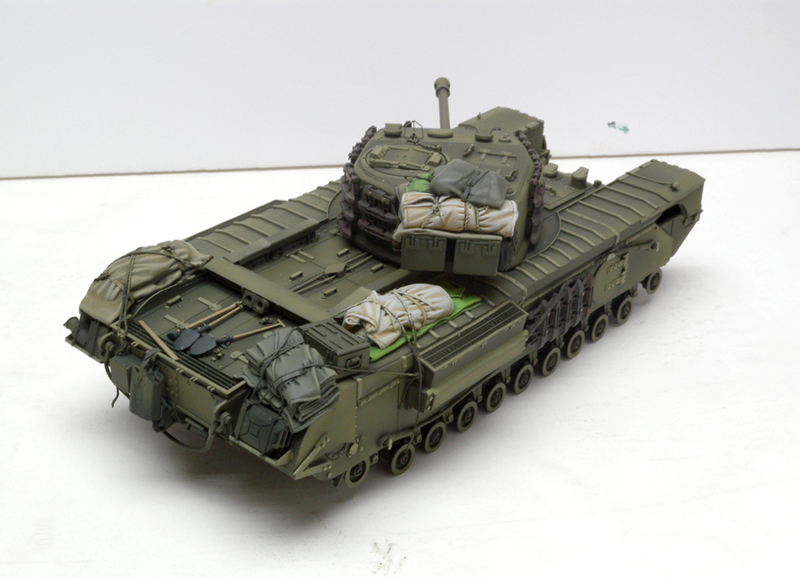 The stowage is a mix of Black Dog resin stowage for a Sherman Firefly and parts sculpted from epoxy putty. 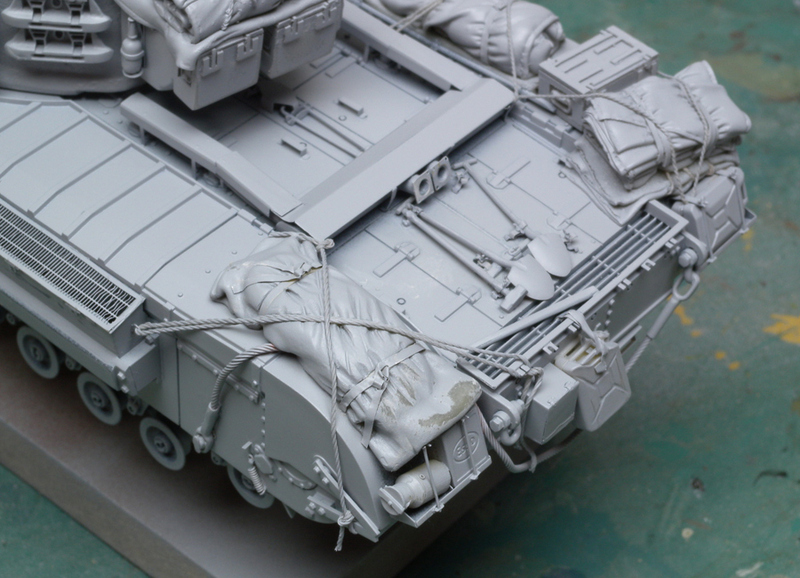 The Fruil set does not include enough for this amount of add on tracks so I cheated and am using a length of wire to join the two ends under the fenders. 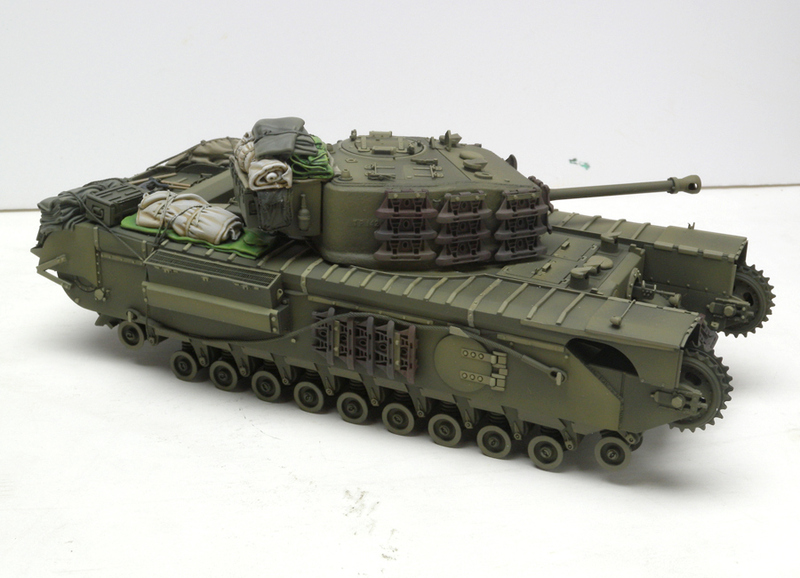 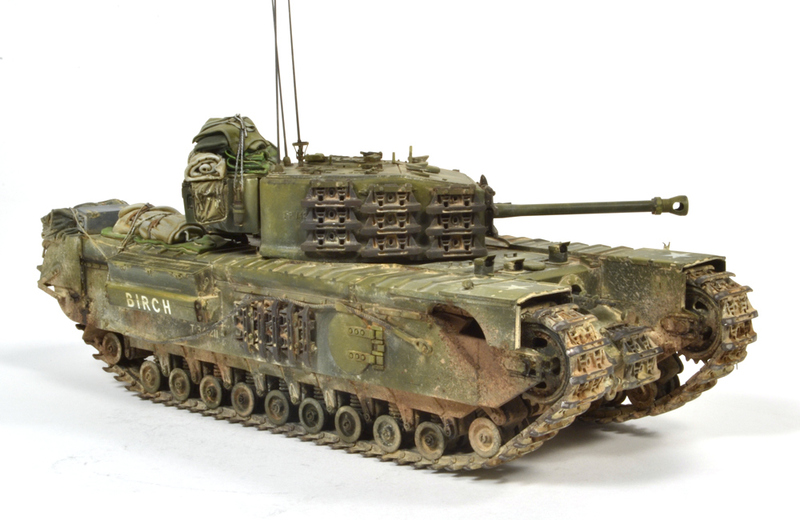 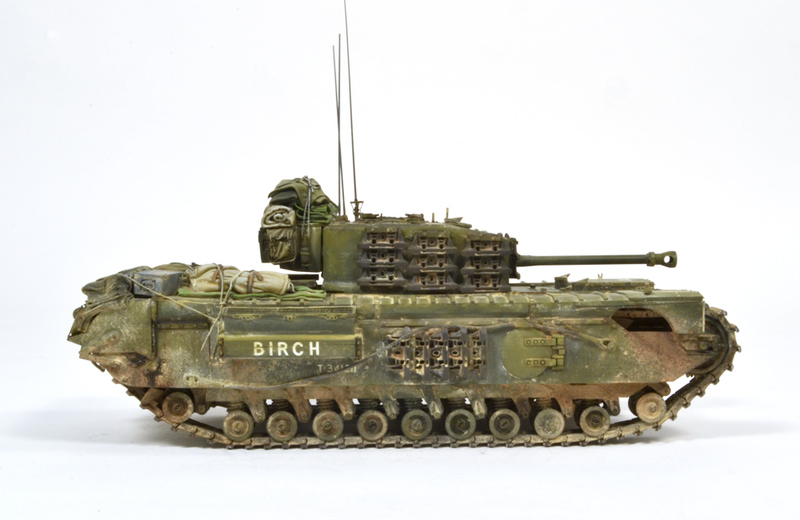 The Churchill has been painted with Tamiya Acrylics. 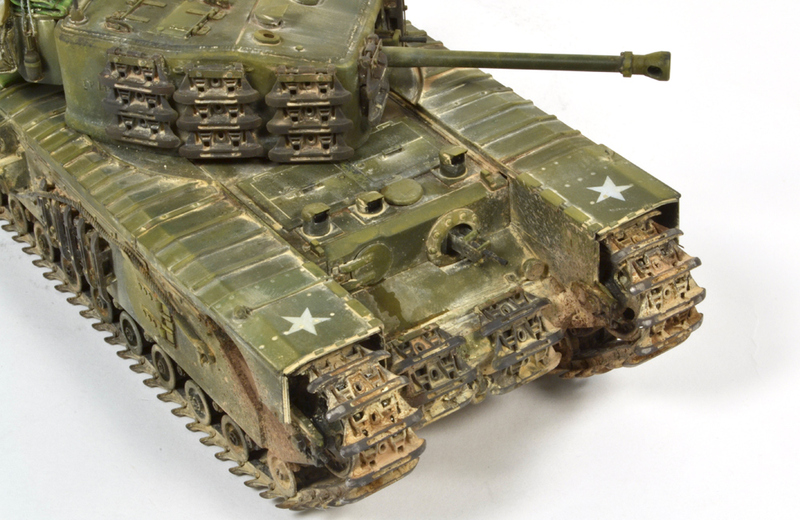 I airbrushed the larger modulation areas and hand painted with Vallejo the smaller details. 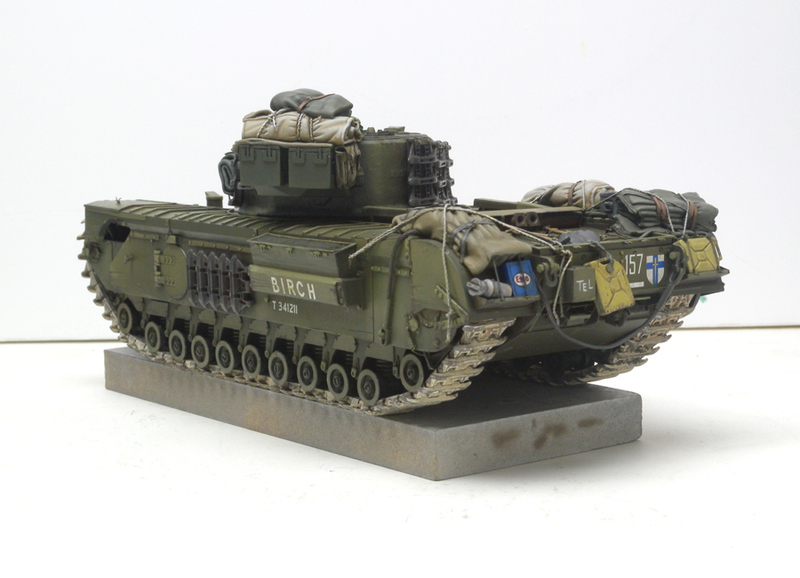 I've finished painting the gear and started the weathering. 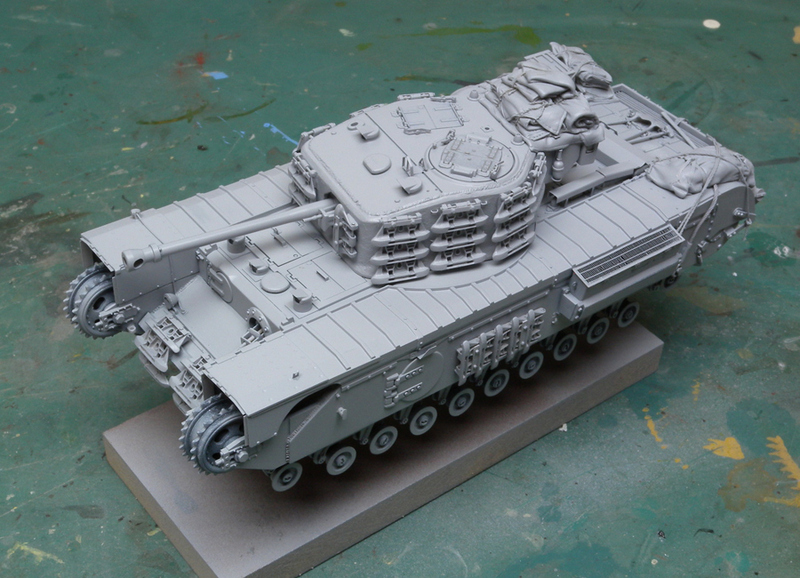 Right now it just has a couple of filters and a few washes to accent the details. 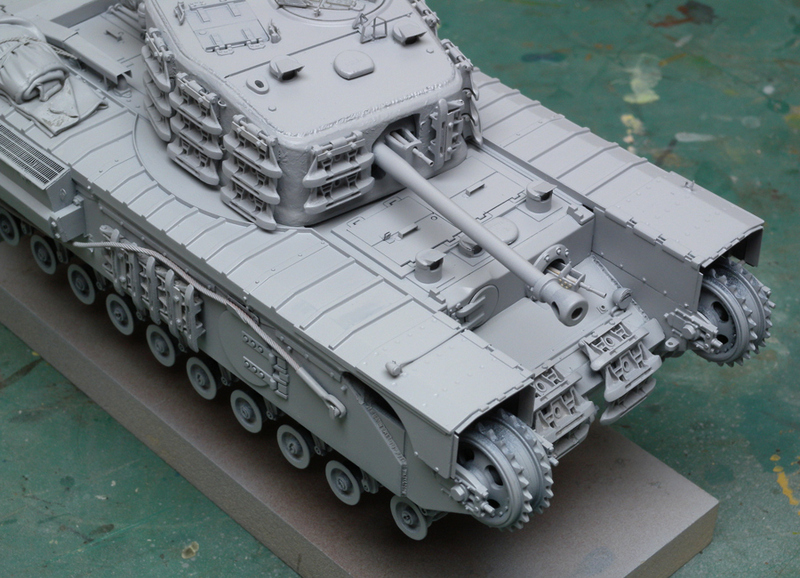 The tracks have been attached.